On 15.09.2015 the European Court on Human Rights answered new request for urgent interim measures concerning planned demolition of houses scheduled for 16.09.2015 in “Oreshaka” Roma settlement in the town of Peshtera. The Court advised the Bulgarian Government that “without a definite commitment on its part to ensure the accommodation of the vulnerable members of the applicants’ families before the demolition of their homes, the Court will, in application of Rule 39 of its Rules, indicate to that Government not to proceed with this measure”. 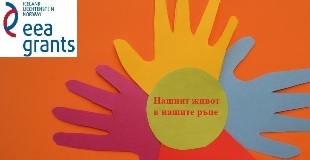 The request for interim measures has been sent by Daniela Mihaylova, Director of the legal program of Equal Opportunities Initiative Association and Alexander Kashumov, attorney at law, legal representatives of the affected persons and members of the legal team of the Housing program of the Trust for Social Achievements Foundation. The request for interim measures has been prepared after serious study of the situation, legal status and the lack of alternatives for the affected Roma in Peshtera. The latter has been confirmed by Peshtera municipality in a letter, addressed to the Ministry of Labor and Social Affairs, Ministry of Interior, Ministry of Regional development and Pazarjik Regional Governor. The study of the situation was implemented with the joined efforts of Yuksel Yasharov, as coordinator of the housing program of the Trust for Social Achievements Foundation for Peshtera and Daniela Mihaylova, lawyer. The legal representatives of the affected persons Daniela Mihaylova and Alexander Kashumov also filled appeals against the actions of the administration before the Pazarjik Administrative court on 14.09.2015. On 15.09.2015 the Pazarjik Administrative court issued injunctions until the final decisions of the court on the matter. The filling of the new request for interim measures before the European Court of Human Rights was undertaken as an opportunity for defense of the affected families, after the refusal of the responsible administration to reconsider the decision to demolish the only homes, which people have. We continue to claim that these actions of the Bulgarian administration are aimed only against Roma-owned houses, despite the existence of a large number of unlawful constructions in the country. We express our indignation about the recent statement of the Ministry on Regional development that the demolitions undertaken so far were executed with respect for the rights of the affected persons; and about the practice of the Bulgarian Government to mislead the European Court for Human Rights and other international institutions that the affected Roma are proposed alternative accommodation and to after that demolish their only homes, leaving them on the streets and making them homeless. We express our indignation about the recent statement of the Ministry on Regional development that the execution of the demolition orders affects all the owners of such constructions, where we see that demolitions of only homes are undertaken only against Roma, and the rest of the unlawful constructions, which are subject to demolition orders are garages, fences, draw-wells, sunshades, air installations, farm buildings and glazed balconies. We continue to claim that this selective less-favorable treatment amounts to discrimination on ethnic base and serious violation of basic human rights, guaranteed with the Bulgarian Constitution and international law. The request for interim measures contained description and proofs for the situation of the Roma families in Peshtera, including the families of the applicants, between them minors, orphan children and people with disabilities. The ECHR’s letter on the request for interim measures and the injuctions issued by the Pazarjik Administrative court prevents making of people homeless and potential victims of future humanitarian crisis; something, that already happened to the Roma families in Gurmen and Varna whose houses have been demolished. We recall that more than 100 people from the Roma neighborhood in the municipality of Gurmen, half of them children, including newborns and with children with disabilities, still have not been provided with alternative housing after the demolition of their homes and continue to live under an open sky, while for the affected by the demolition Roma from Varna today expires the temporary accommodation in a shelter and they also remain homeless. We remind that this brutal violation of the rights of the Roma has been noted within the opening speech of the UN High Commissioner on human rights on the 30th session of the Human Rights Council held in Geneva on 14.09.2015 who stated that he “remains concerned about the continued social exclusion and forced evictions of Roma in several countries, including Bulgaria and France“. We urge the Bulgarian Government and the responsible administration to reconsider the decisions concerning only homes of the Roma, by starting implementation of the National Strategy on Roma Integration, endorsed by the Bulgarian Parliament; by entering a dialogue with the affected persons and with the representatives of the non-governmental organization; and by planning and implementation of meaningful and long-term measures for improving of the housing situation of Roma in Bulgaria. We urge the European Commission to seriously consider the current trend of destroying the only homes of Roma families and to use all available EU tools to address properly the issue. In addition, we call the Commission not to rely solely on the information provided only by the government officials but to ensure information from other sources, including from non-governmental organizations.